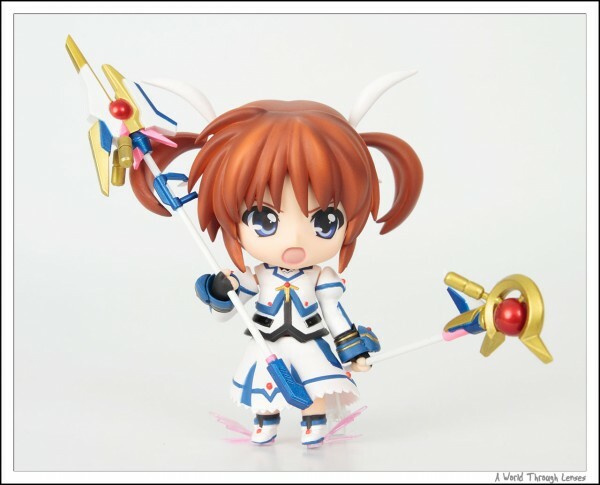 Just days ago I posted my long over due Alter Takamachi Nanoha Stand By Ready PVC. 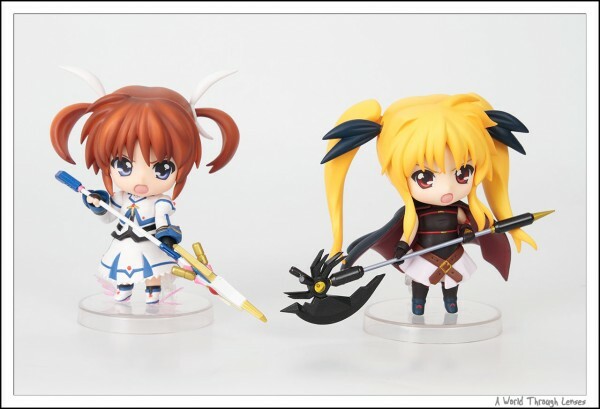 I’ve got more Nanoha goodies piled up here that went unopened for some time — Good Smile Company’s Nendoroid Takamachi Nanoha and Fate Testarossa. 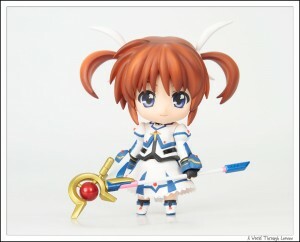 Nendoroid Takamachi Nanoha The Movie 1st Version by Good Smile Company (高町なのは) Original sculptor Yoshio (よしお) [LOUGH]. 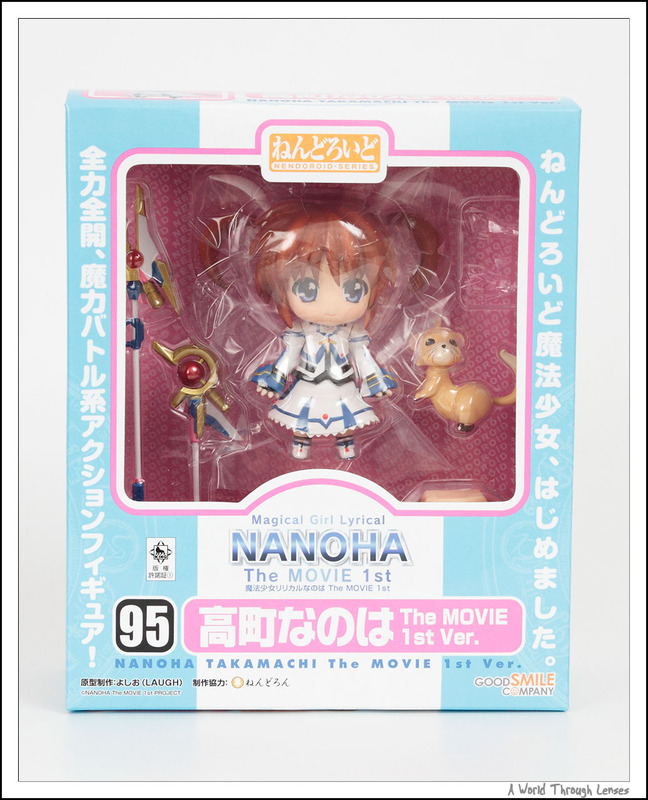 Released on February 2010 with MSRP of ¥3,500. 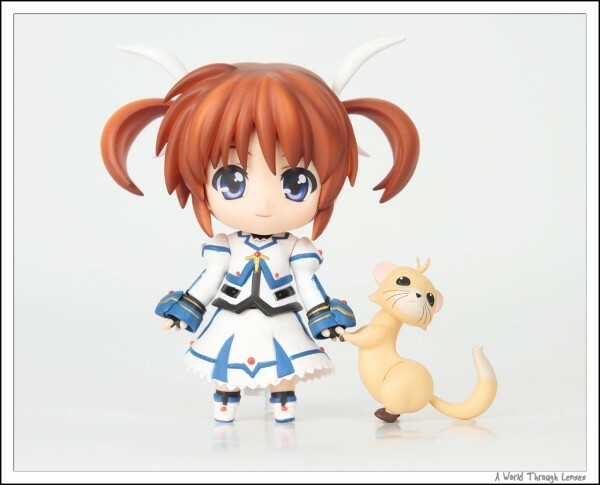 Nanoha and Yuuno Scrya in his ferret form. Here’s Nanoha holding Raising Heart in device mode. Comes with eyes close face for the transformation poses. Here’s Raising Heart in cannon mode together with those pink Flier Fin wings and the angry battle ready face. 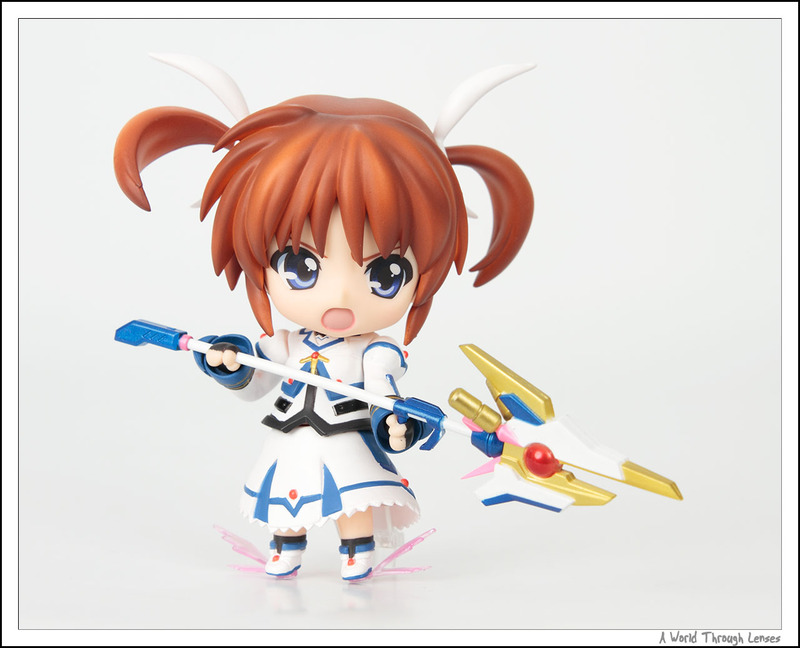 Nanoha’s base can be used to actually pose her in flight. Since it came with two weapons and many hands, I just can’t resist trying a dual wield pose for Nanoha. Double the power, double the fun. 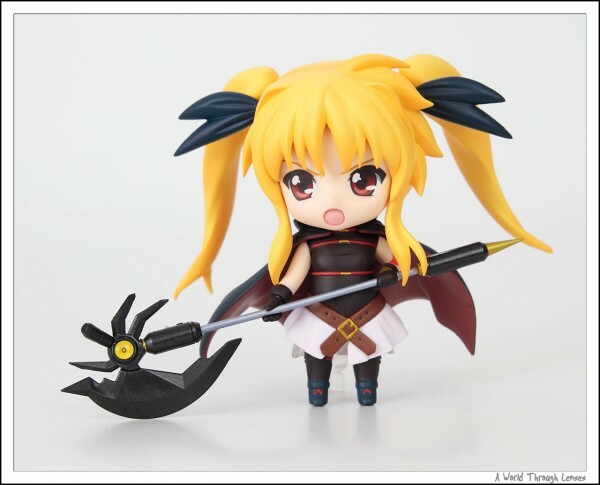 Nendoroid Fate Testarossa The Movie 1st Version by Good Smile Company (フェイト・テスタロッサ) Original sculptor Yoshio (よしお) [LOUGH]. Released on March 2010 with MSRP of ¥3,500. 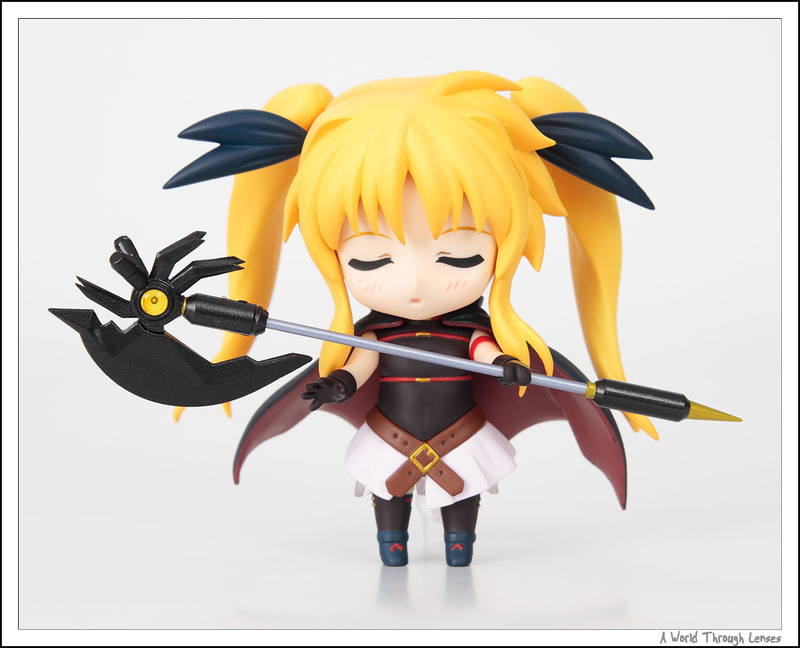 Here’s Fate with her trusty friend Alph. 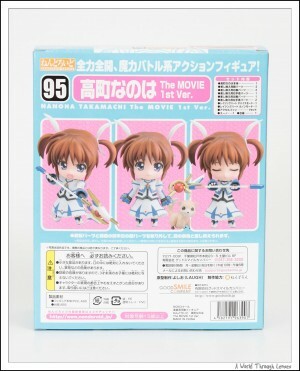 Comes with an eyes closed face for transformation scenes. 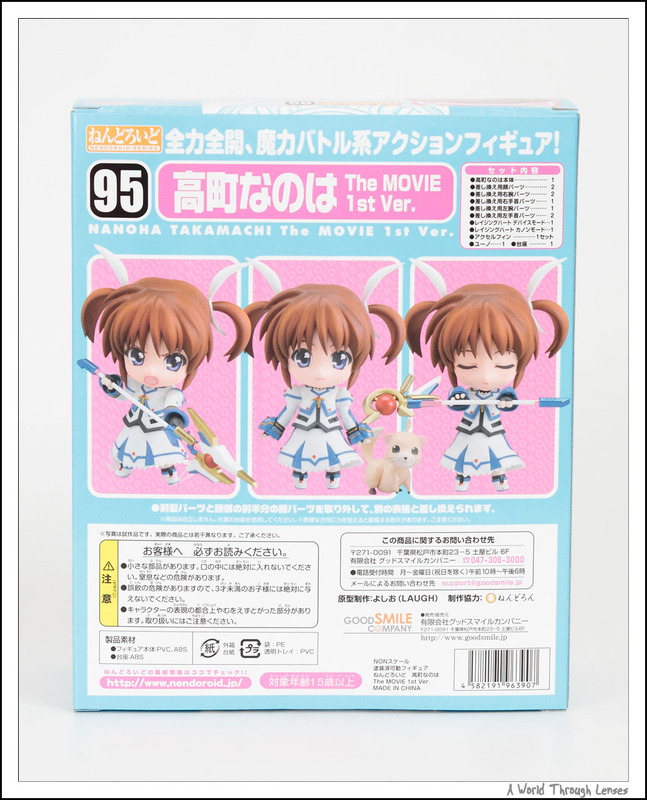 Also comes with an angry face for battle scene poses. Here’s Bardiche in Scythe form. 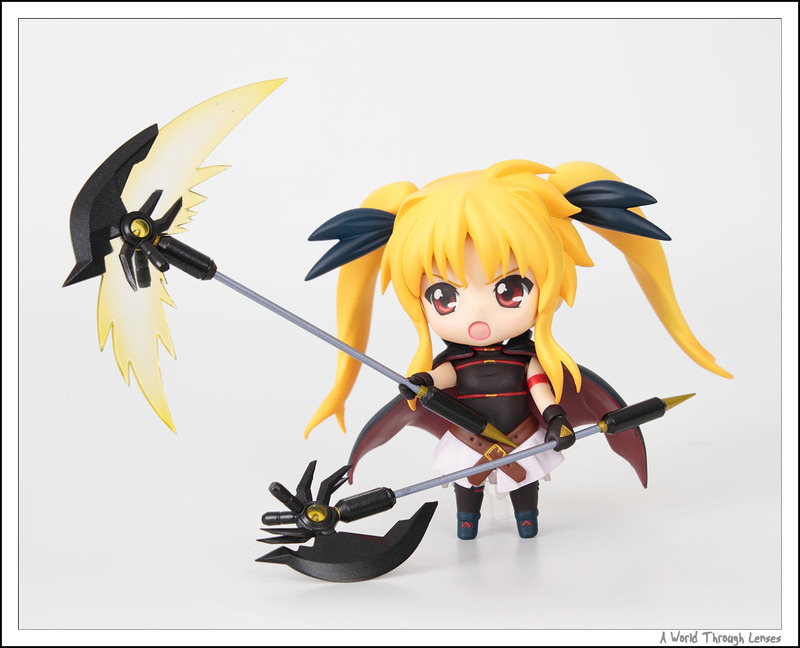 In Scythe form, the weapon is actually a bit too big and cannot easily be posed with too many angles. 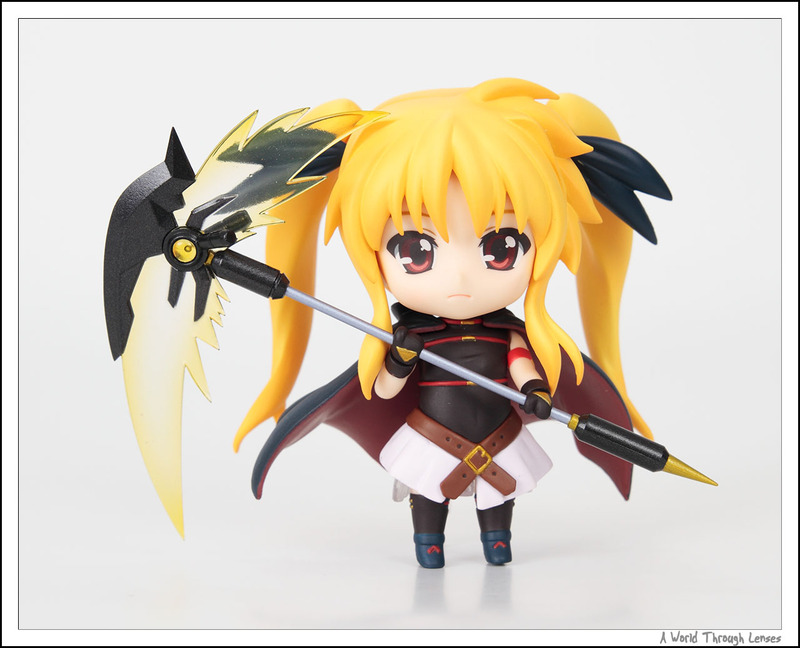 Fate’s cape is really limiting her limb’s motions. 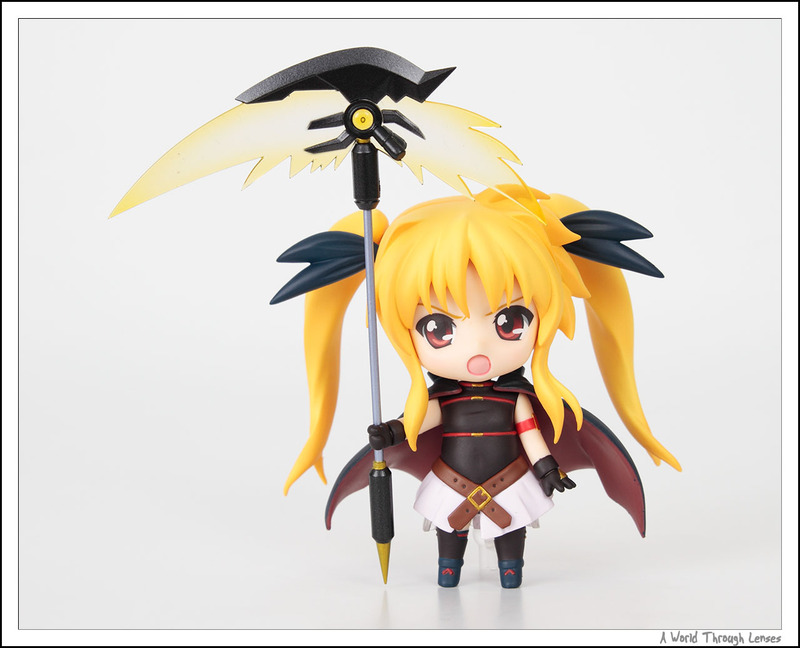 However, her cape is easily removable. 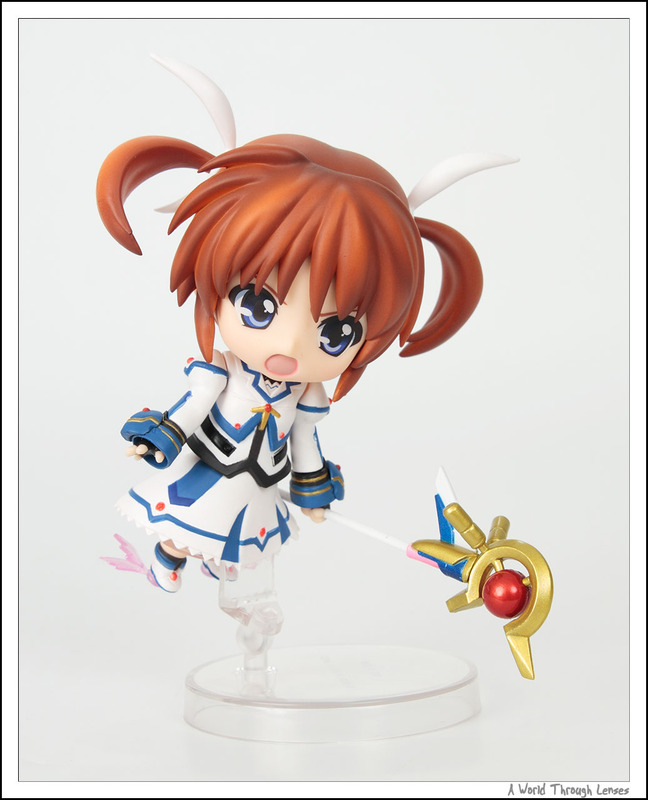 And so you can pose her without the cape. Although I think she looks better with the cape. And here’s the two together. 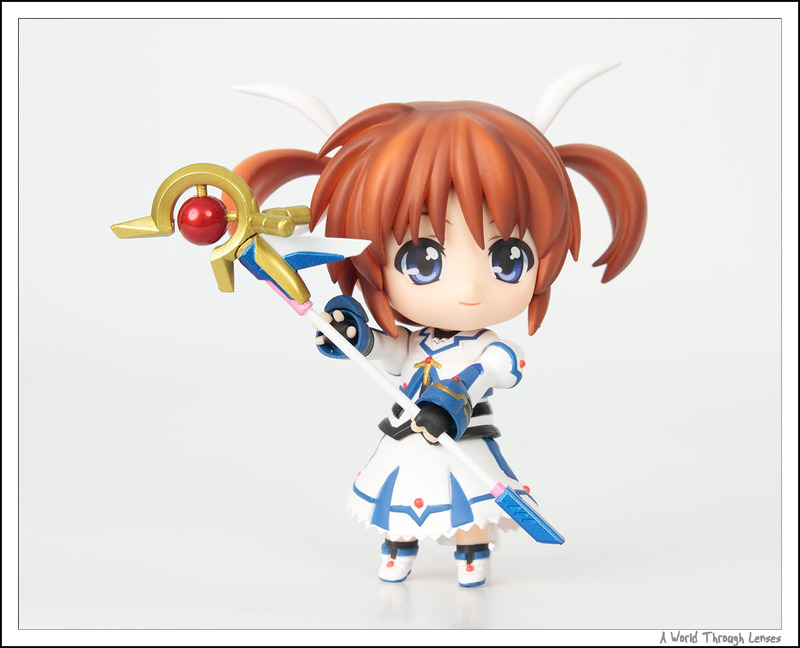 I think Nanoha’s Raising Heart in cannon mode and Fate’s Bardiche in device mode pairs up better. 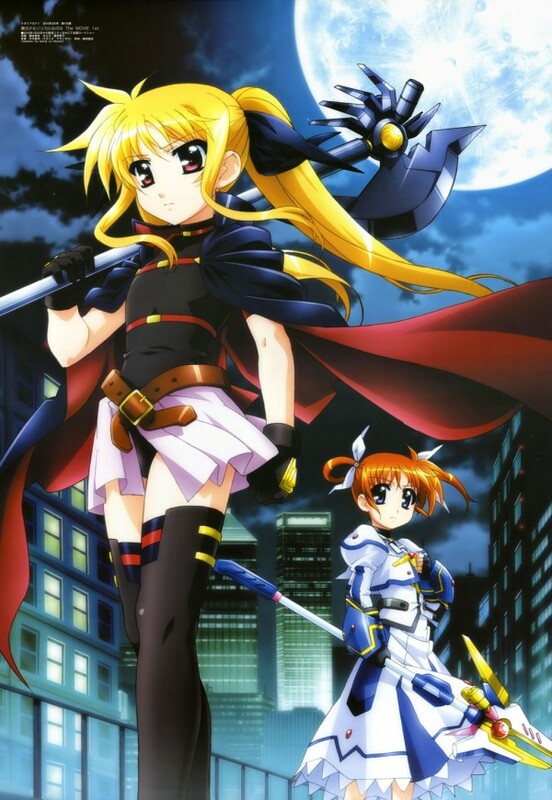 Here’s a 2D illustration of Nanoha and Fate. 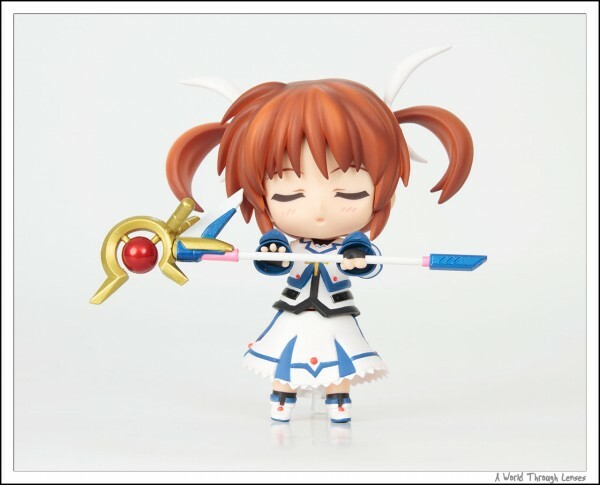 Nice shooting ^^ I had two Nendoroid, but I prefer Fate (I love the character). But even if I don’t like Nanoha, she is cute in Nendoroid form ! I love Fate nendoroids too. 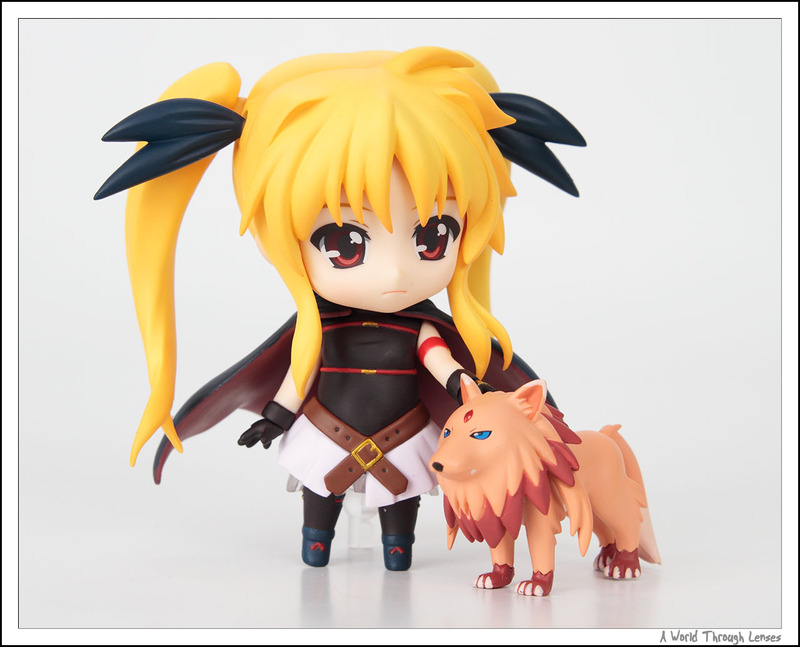 I have Saber Lion nendoroid. 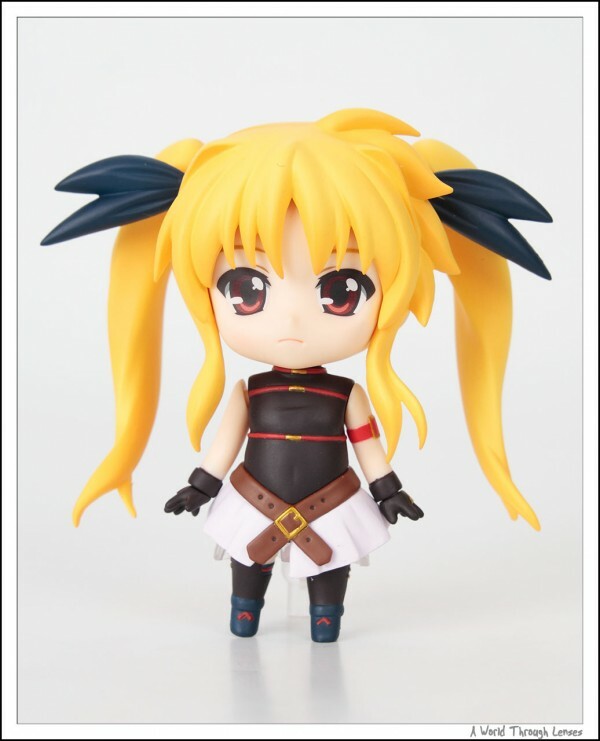 I didn’t get Saber Lily because I didn’t find the face well sculpted. And of course the really old Fate nendoroid is really not up to today’s nendoroid’s quality. Now only if Good Smile Company re-do Fate nendoroids in their regular outfit. I would definitely buy them.